INTERIM CEO OF Console David Hall will hand in a full report on the contents of a storage unit rented by Paul Kelly to the High Court tomorrow. He applied for a court order to break the lock and gain access to the unit after a member of the public made contact to say they saw Paul Kelly and his wife delivering goods to the unit at Toughers Business Park in Naas last Tuesday. Hall was granted permission to enter the unit by Mr. Justice Paul Gilligan this afternoon. The court heard it was paid for in cash and Mr. Kelly’s mobile number and an address in Dublin appear on the receipt. Speaking from the site of the storage unit this evening, David Hall told Mary Wilson on Drivetime on RTÉ Radio 1, “There was a significant amount of material relevant to running any business. All items that were there were bagged, sealed and photographed … all that material now is in bags and it will be open in a secured area and documented and I’ll give Justice Gilligan the report in the morning. Hall confirmed that, “Cash flow is not great … back in the office, I have two boxes of credit card statements. This has been an operational nightmare, cash flow wouldn’t be great. He emphasised that, “The key issue here is to protect the services of this organisation. At all costs – these services must be protected. Email “Lock broken and files in storage unit rented by Paul Kelly removed ”. 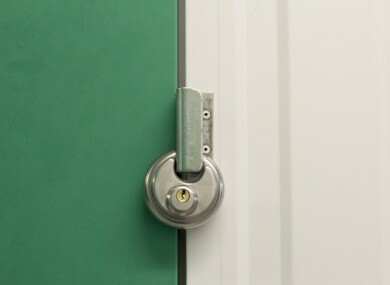 Feedback on “Lock broken and files in storage unit rented by Paul Kelly removed ”.